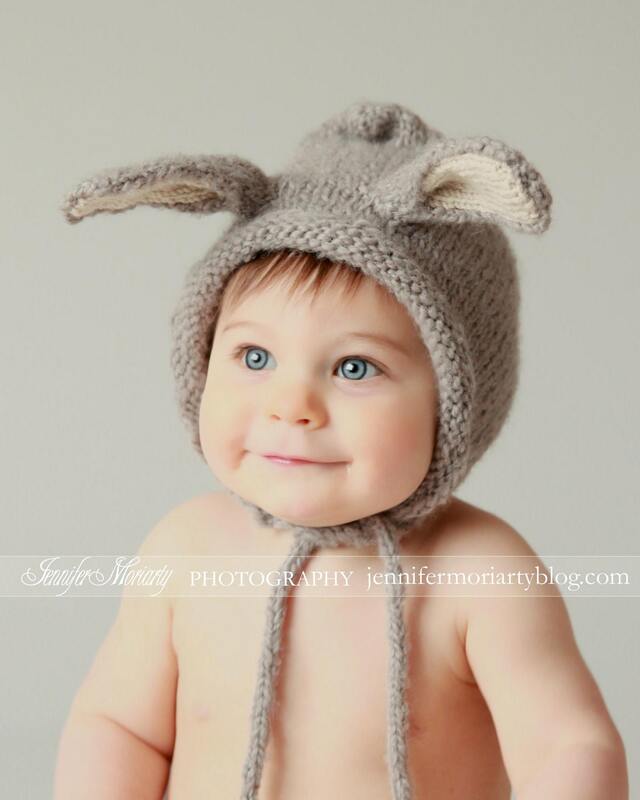 Hand-knit with high-quality, luxuriously soft alpaca fiber in a soft natural colors and merino wool in cream for the inner ear, this hat is perfect for your little one’s delicate skin. 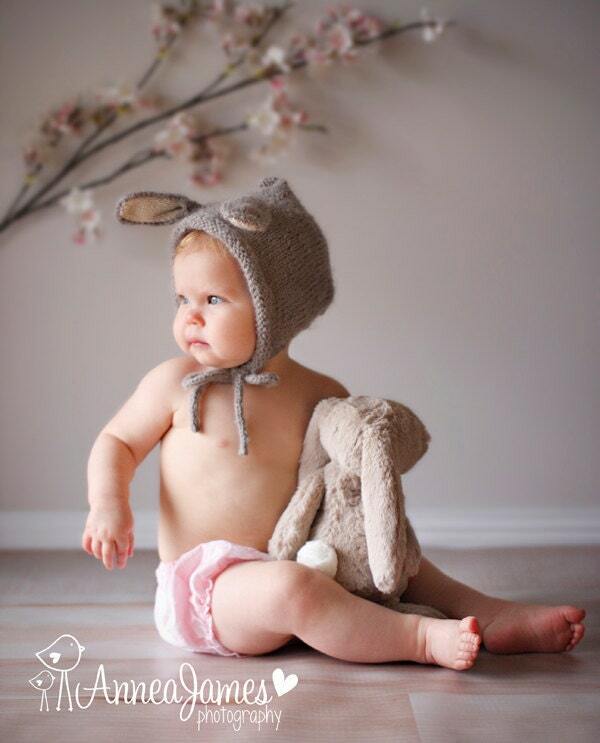 The Cuddly Bunny hat is sweet, adorable, and ideal for cool spring days and all those holiday pictures. 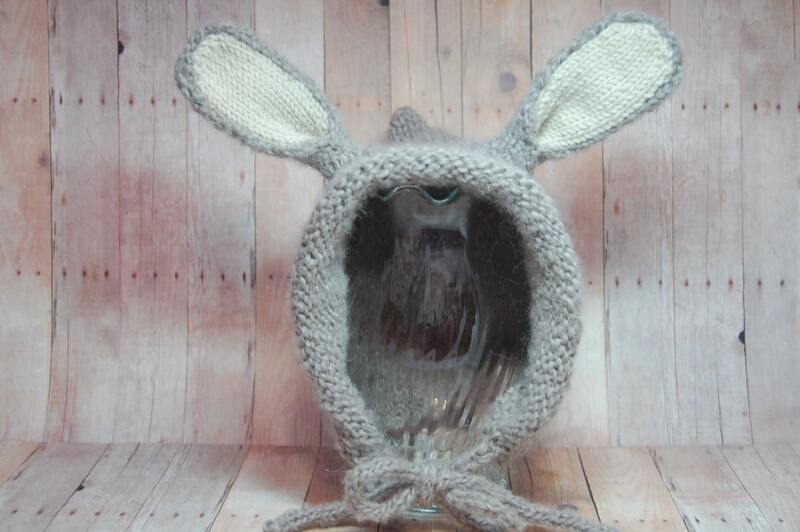 It will make for a lovely, classic photo prop, spring/ Easter gift item and will be a cherished keepsake piece. 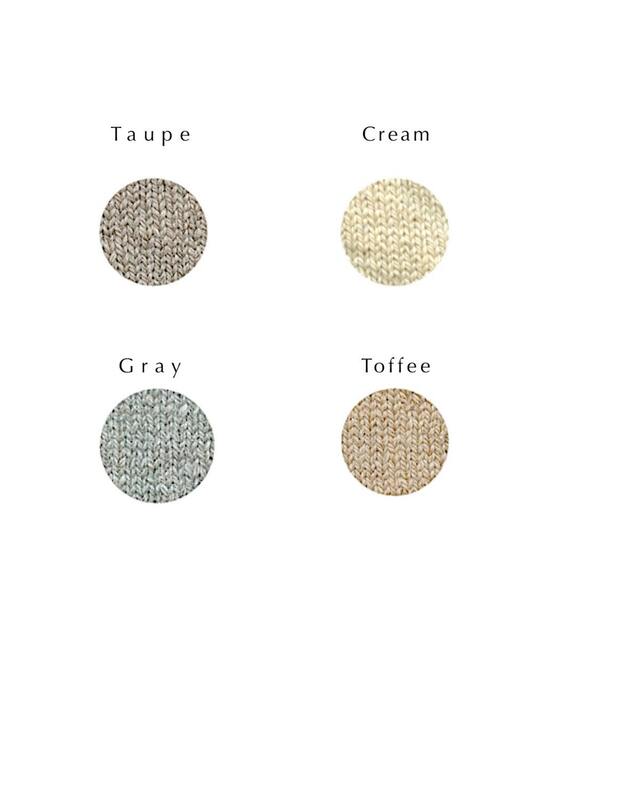 Wool is naturally dust mite resistant and tends to repel dirt and water. To best preserve this item, I always suggest to gently hand-wash with mild soap. Shape hat and lay flat to dry. 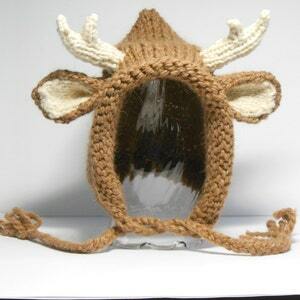 This item can be custom made in any size, fiber, or color combination. Please contact me with your requests and I will be happy to quote you an estimate. Custom orders may take longer to ship, but I will be glad to work with your time frame. I would like to extend a very special thanks to Annea James Photography, Jennifer Moriarty Photography, and the sweet lovely little models. A bunny is loose in NYC thanks to you. 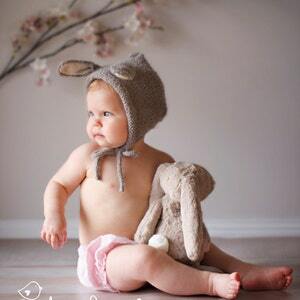 The rabbit hat is adorable!!!! 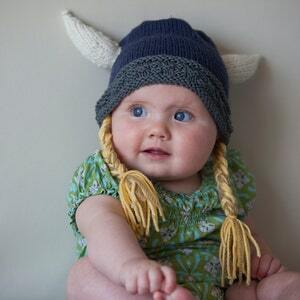 My grandchild loves wearing it, and her parents love it too!! Lots of Compliments!!! Thank you!! 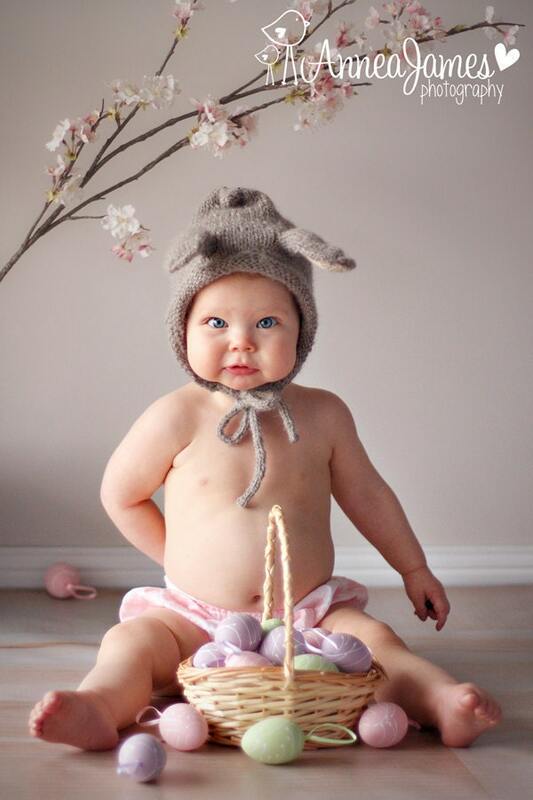 Perfect hat for Baby's first Easter!